Dr. Dianna Chooljian graduated from the Uniformed Services University of the Health Sciences and completed her residency program at the Letterman Army Medical Center. Then, she did a fellowship followed at the University of Washington. She is specialized in Radiology and board certified in Diagnostic Radiology. 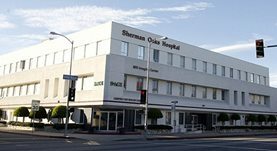 Dr. Chooljian has been in practice for more than 20 years and is affiliated with the Sherman Oaks Hospital. During her career, she has also contributed to one publication of clinical interest. Dr. Dianna Chooljian has contributed to 1 publications. Ten-year magnetic resonance imaging follow-up of bioabsorbable poly-L-lactic acid interference screws after anterior cruciate ligament reconstruction. Warden, W. H., Chooljian, D., Jackson, D. W.; Arthroscopy. 2008 Mar.